Photograph depicts train derailment. Nine or more crew members are at work alongside the track. 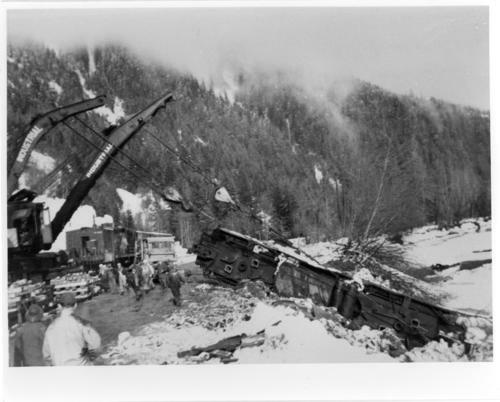 Handwritten annotation in pen on verso reads, "Derailment near Kwinitsa in 1967"